IF ANY OF THESE STATEMENTS SOUND FAMILIAR THEN DEPRESSION THERAPY AND DEPRESSION COUNSELING WILL HELP. You don’t have to be depressed anymore. I lost my sense of self somewhere along the way. Things may look good on the outside, but I feel depressed and empty on the inside. Depression counseling can help you to rediscover the joy and happiness in your life. Most of my relationships have been painful and I am not sure why. I am afraid to be alone, but yet, do not feel safe being with a partner. Through depression therapy, you can trust and open your heart to love again. “I have been struggling with emotional competency for most of my life. One of my earliest childhood memories was the death of my father. In my later childhood and my early teen years I was subjected to physical abuse on a regular basis. As I moved toward adulthood I found myself struggling with alcohol and drugs. To say I was addicted would be an understatement. The abuse that I experienced and the addictions that I struggled with affected every area of my life, from my ability to hold a job, to the inability to maintain relationships, or at least healthy ones. I have been to many depression counselors but my problems always seemed to persist and I would end up right back where I started. I began depression therapy with Bill and little by little things started looking up. I found that I became much more grounded, confident, and relaxed. I no longer fall back into my old patters of behavior when I am faced with stressful situations. I now feel much stronger and committed to the life I deserve. I would recommend Bill as the Orlando therapist that will help you to see your way through whatever challenges you may be facing.” Jayson N.
I do not like my life and where I am at. I have lost my drive and passion and feel as though my life is a waste. 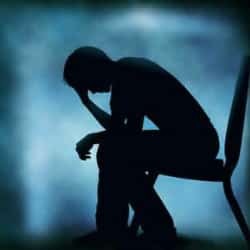 Depression therapy can help you conquer the profound sadness and hopelessness that you are feeling. For your convenience WE DO SKYPE COUNSELING.